Now, it's finally time to unlock the secrets in Banjo Kazooie without the use of a Gameshark or Action Replay cartridge. 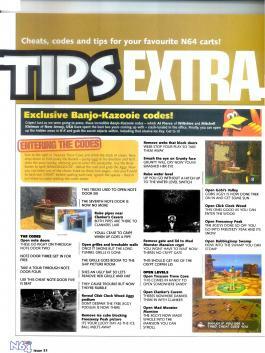 We've worked hard to crack one the best kept secrets in the video game world. Entering in the codes is easy. Just head inside Treasure Trove Cove's sandcastle. Once inside just spell the word CHEAT using the tiles on the floor followed by any of the cheats below. Don't insert the spaces, as they are just to make the codes easier to read. 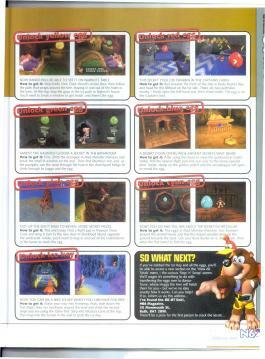 Our codes were published simultaneously in a deal with N64 Magazine.